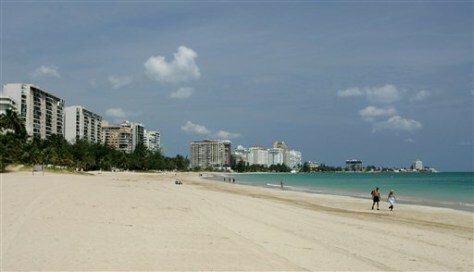 Tourists walk on Isla Verde Beach in San Juan, Puerto Rico. The Caribbean has seen declines of more than 10 percent this year in islands including Jamaica, St. Lucia and Grenada. Americans may be discouraged by passport rules, but some may simply want more exotic destinations.